perhaps you could do space wolves next since they are coming soon? 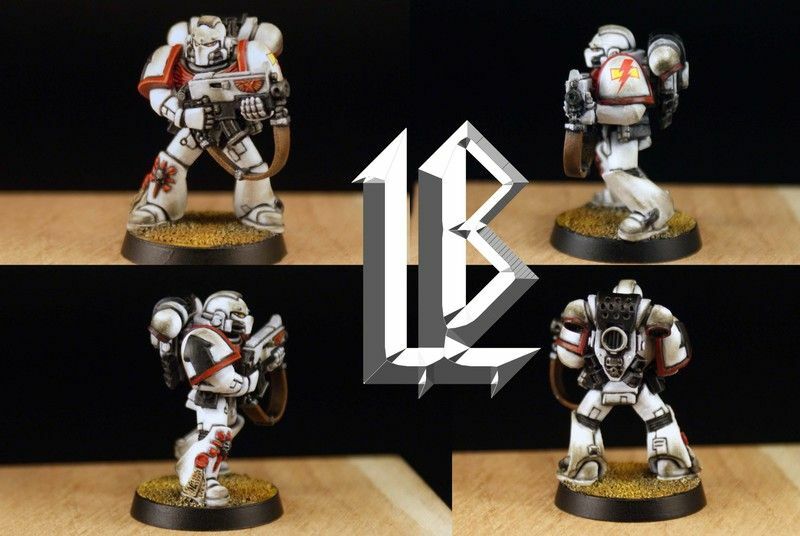 great video, i like it because you don't need to have white scars to use the majority of the techniques you presented. kudos! Seconded on the space wolves next please. Another awesome tutorial though. To quote the Channel 4 show, Peep Show: "I'm cancelling out of shame, like my subscription to White Dwarf"
I offer another vote towards Space Wolves. Or just Grey Marines would be good. I'll fourth the motion of Space Wolves! I don't think space wolves is on his list yet. Well it wasn't on Monday with the order he is doing them in. It was pretty much first call/dibs and who gets the models to him. I have an excel sheet with the list in order. Lbursley's post on rogue market lists them alphabetically I believe. Here is the order in which I sorted by number from his post. Others have been called but don't have an placement yet. I will most likely do SW when I get the mini from the fellow that reserved it. Because it is the flavor of the month I plan on hitting all the popular chapters first, Blood Angels should be next like there aren't already enough videos of them lol. But I'll wrap up the PT 2 for White Scars and start on BA.. so little mods here and there but no problems. ooooh, nice. I will wait to start painting my BAs then to see how you do it. How long until pt. 2 ? Sorry I updated everywhere but here. My editing software was bugged so Sony sent out another set of disks. Should be here Tuesday. All the footage is shot but need to edit and render the HD in the program. I know people are going through tutorial withdraw lol..
Until you're ready, Les, we can wait... Well, almost! You bet i am, hurrah! widthrawal symptoms are appearing! quick question: after this huge task, are you going to go to different races? like imperial guard guides? or even tyranids to keep the heretics at bay? seeing how over 70+ marines have been submitted on Rogue-market.com, i'd say.. not yet! haha it'll take a long time to finish all htose marines. Well maybe LB can answer the q' better haha. The fastest, safest, and largest trade market on the net. Yeah I am finishing the footage for Space wolves part 1 now. Just letting washes dry With the number of submissions and at 2 tutorials per week (when time permits) it looking to be about 7-8 month project. But if anyone is crazy enough to do it, it's your boy Les The encouragement you guys give me is what keeps me motivated! Thanks and I'll be sure to keep the vids flowing. Fantastic tutorial Les, this will be a great help with all of my Apothecaries. Especially good to see how easy it is to apply the weathering powder, I've just ordered some based on your vid. Could I trouble you to answer one question though? p.s. I think you're mad for taking on a project like this, but so far your work is spectacular! You'd better pick yourself out a Xenos army though, because after a few months I can see you really hating power armour! On topic great video. Anybody else noticed that the music fitted perfectly? I like your holder of a 40mm base with funtack on it on top of a paint bottle. One question I have is what do you mean by a "Soft Body Wash"? Is that a watered down wash?